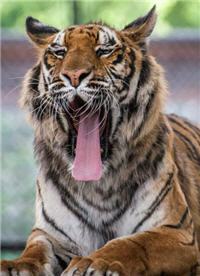 Cypress is one of the ten tigers and three cougars who all came from Van, Texas. The cats arrived in three separate groups; the cougars came to their new home January 14, seven of the tigers arrived Tuesday February 4, and the remaining three came home February 5. 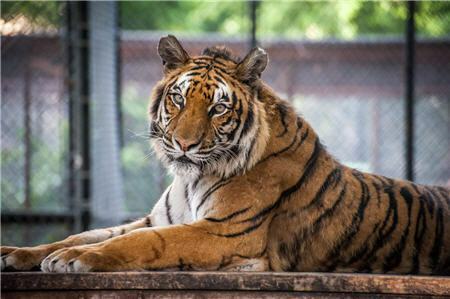 All thirteen cats were re-homed as part of an agreement between In-Sync Exotics (ISE) and the Caruth C Byrd Wildlife Foundation (CCBWF) in Van, TX. CCBWF is changing their focus and “getting out of the caged animal business” according to a representative of the Foundation. They will continue to maintain their hoof stock but are re-homing their carnivores. ISE will be assuming all costs related to the care of these cats. As you no doubt remember, ISE suffered from an outbreak of Canine Distemper Virus last summer. As a result, we lost seven cats to the disease. All big cats on ISE property subsequently received vaccinations that we believe offer them the best protection available against the disease in the future. At present, all cats on ISE property are testing negative for the disease. The new arrivals were all inoculated using a different type of vaccine while they were still at the CCBWF. 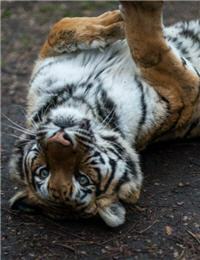 Keep in mind that there is no vaccine against the canine distemper virus that has been approved for big cats. 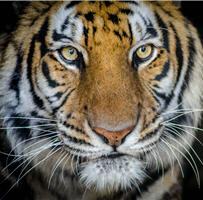 The vaccines provided, though not specifically approved for big cats, are the only hope we have. The new cats range in age from three to eighteen, and some are more human imprinted than others. 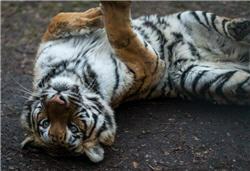 Visitors who come out should remember that the tigers may be frightened and easily agitated until they “settle in” and become accustomed to their new home.